Ireland's No.1 Online Directory for Local Search! We offer a highly effective advertising platform to ensure your business is in the right place. SayHi WiFi allows you to offer customers free WiFi. In turn, they share with you their contact info allowing you email new offers. Find Your Perfect Domain Name Today. Instant Search, Instant Setup, Pay What You See - No Hidden Fees. A hotel booking solution that delivers the finest hotel deals from around the world. Who We AreFCR Media is an Irish company offering businesses multiple ways to engage consumers across online, mobile, print and call centre channels as well as providing consumers access to businesses through the channels they are searching. getdomains offers great affordable web hosting! 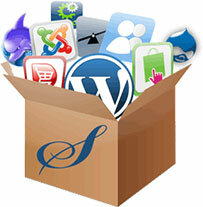 What features do you get with Web Hosting? With our one click installation system you can easy install any web application you need with just one click! Selling products or services through your website? Try Magento or WooCommerce with one click installer!